Oshara, explains to you thanks to this article the interests of obtaining a Facebook badge. The badge verified on Facebook is available in two versions. The first is characterized by a blue button and its indication to certify the authenticity of Facebook pages belonging to a major brand or organization with very strong notoriety. This also applies to certain places, of the tourist or historical type. The second is less recognizable by its grey colour. It is very often used to authenticate the pages of small and medium-sized organizations and businesses. Having certification from Facebook brings many benefits. The second is the expansion and enhancement of your brand image in the eyes of your community. With the presence of the badge, Internet users will have more confidence in your services and will be able to adhere to them more easily. But also gain visibility, because Facebook systematically highlights all verified Facebook pages. 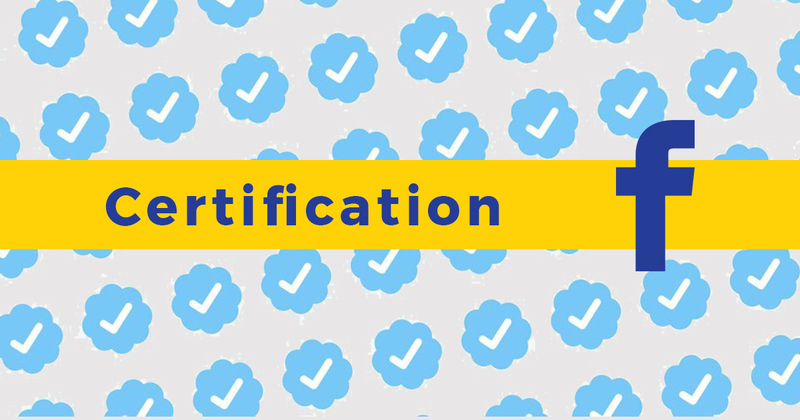 Get a Facebook certification (Grey Badge)? The operation is now simpler, even simpler than the one you need to perform regarding the acquisition of BluePrint Facebook certification. However, it is essential to respect some prerequisites. If your page respects these, it will be enough for you to make check your page yourself in the parameters of the page. Thanks to the telephone number indicated, you will receive a 4-digit verification number that you will have to enter quickly. Once your verification request is taken into account, it takes between 48 hours and a week to receive Facebook's response. Your request may not be successful, there are many reasons why Facebook may influence this decision. The first is the absence of a large and vibrant community. The description of your reason or identification that you have provided is inappropriate or inconsistent. Your page has very little traffic. In this situation, we ask you to quietly and seriously resume the preparation of your page to make a second application for certification. Because with the acquisition of this free badge, you will notice clear differences in your results.